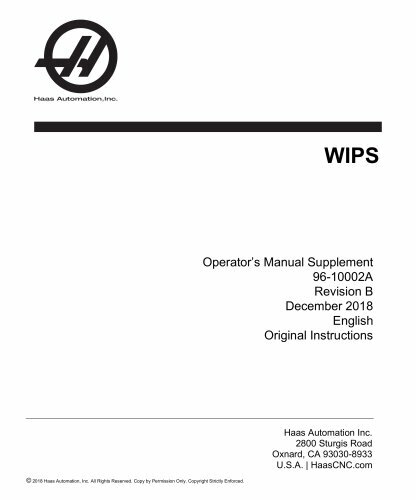 WIPS Operator’s Manual Supplement 96-10002A Revision B December 2018 English Original Instructions Haas Automation Inc. 2800 Sturgis Road Oxnard, CA 93030-8933 U.S.A. | HaasCNC.com © 2018 Haas Automation, Inc. All Rights Reserved. Copy by Permission Only. Copyright Strictly Enforced.